Beast Records - THE HORSE WITH WILD EYES "Bow & Arrows"
THE HORSE WITH WILD EYES "Bow & Arrows"
He is on the path of war again! 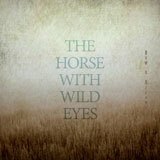 The Horse With Wild Eyes is back to shoot 8 arrows made of a western noisy rock fusion. As their first opus, the trio's new album entitled " Bow & Arrows" is still manufactured with banjo and guitar slides, relying on arrangements that easily remind us of 90s grunge bands. These 8 new tracks were composed for being played on stage, behind which the tutelary shadows of the three Breton musicians' heroes are hovering : Jeffrey Lee Pierce, David Eugene Edwards, and Nick Cave! A band to discover or rediscover... through dust and electricity!